Tweens. They’re a half kid, half teenager. I have one who loves YouTube and gaming. I might be getting old, but what is the deal with watching a video of a kid making a video playing a video game? Crazy. Between that and Fortnite, needless to say, we’re always looking for fun activities that get him unplugged. Yes. He does play sports and gets outside, but we’re also on the hunt for something different. When I saw the Creative Tweens Mixed Media Class at The Grange in The Meadows, my wife and I got excited. This unique painting class will have your child aged 9-13 finding their creative voice through Mixed Media Art. Your child will create a mixed media art piece using paint and collage. The goal is to let them show artistic expression and voice through this perhaps new-to-them style of art. The class will be held on Saturday, October 27 from 9-11:30 a.m. at The Grange. However, spots will fill fast so you must register by October 20th. Don’t worry about the materials, including a light snack, as they are all provided. All your kids have to do is bring their imagination. They’ll also get to keep their one-of-a-kind piece of art. 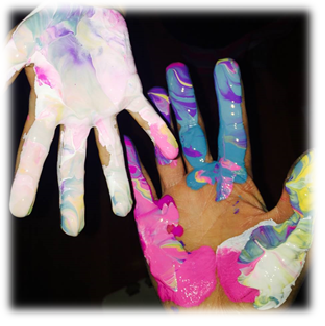 Get your tweens away from the Fortnite for a morning and let them show their creative expression through Mixed Media. Saturday, October 27 from 9:30-11 a.m. It promises to be a fun morning of painting and collage. Register your tween (9-13) today. Learn more about this program and other events at meadowslink.com.